Exercising can be monotonous but, working behind a desk all day, it's something I need to do. If I have something that engages my mind, it makes exercise an enjoyable experience for me. This is why I typically listen to something that I find interesting, usually talk radio, podcasts, or an audio book. I bought a new app for my iPhone over the holidays that makes going for a walk or run a more immersive experience. That app is Zombies, Run! Zombie's, Run! is an app that brings gamification to running or walking, and makes it truly a fun experience. It's as much a story as it is a game. In fact, it's a very compelling story that you take part in. Here is the gist of it. You live in world where a disease of some sort has broken out and turned people to zombies. Those who get bit by zombies are doomed to become zombie's yourself. You are Runner 5. 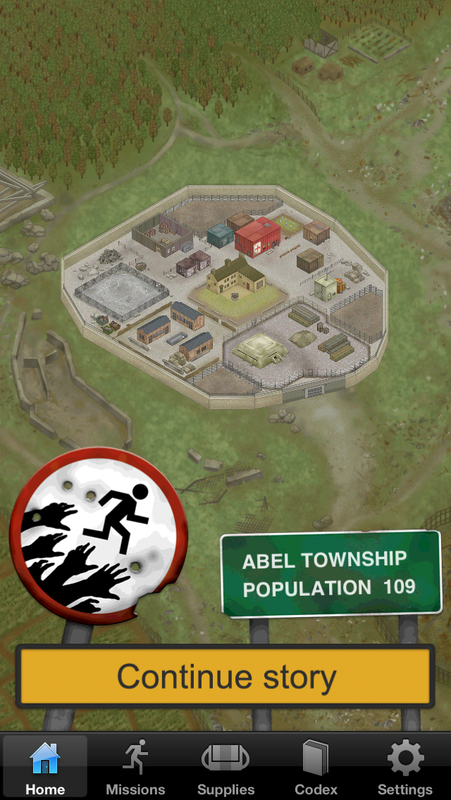 Your helicopter was shot down near Able Township, a small fortified town where the citizens are protected by walls that keep zombies out. Because the township needs supplies, runners are sent out to retrieve those supplies, occasionally encountering the zombies that roam the surrounding wilderness. Running is a way of survival. Runners also have other missions, such as drawing zombie's away or saving someone stranded in the wilderness. 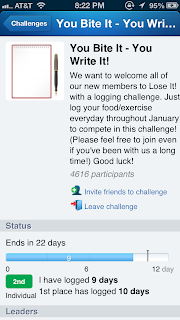 I've written before on several occasions about Lose It! 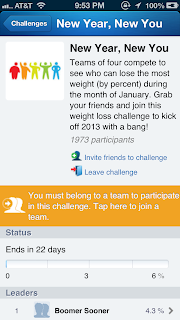 for the iPhone, a great tool for weight loss and one of the best free apps in the App Store. You can get a lot of help in meeting your fitness goals by using this app's free features but it has some premium features that are quite compelling if you need a little extra motivation in getting fit. These are a great motivational tool. Here is where Lost It! gets both social and competitive. You can compete with yourself, with others (the public or just certain friends), and even as groups toward some goal. 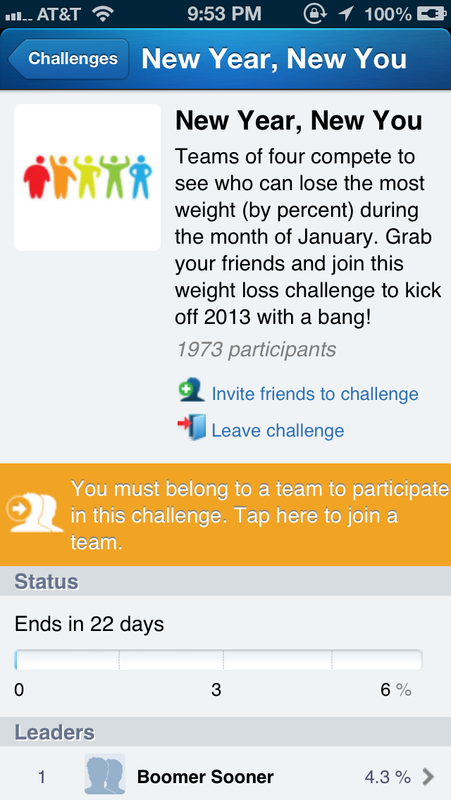 For example, a challenge might be between teams of four on which team can lose the largest percentage weight. 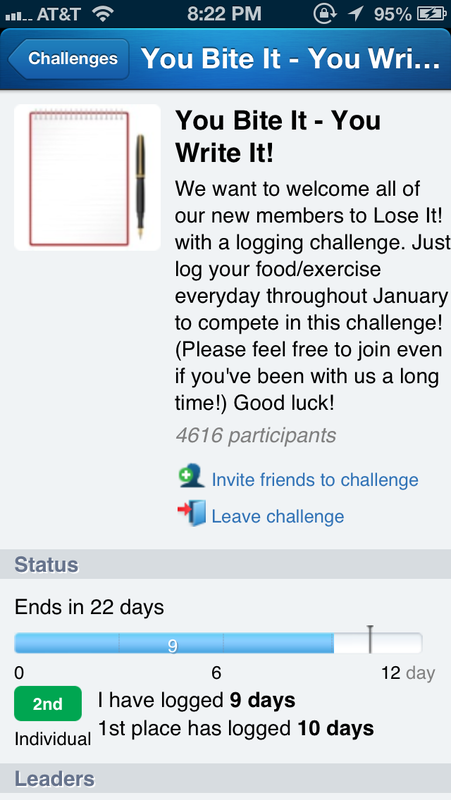 You can join existing challenges that others have created or create your own. The challenges can be public or private and you can invite your friends to join with you for added accountability and competition. You can do all of this from within the app but I found it easier to find challenges on the Lose It! web site.